Good: Impressive multiple story modes, great graphics and good sound. Bad: Besides story and arcade there isn’t that much to do. Who can remember when the first SoulCalibur hit the arcades decades ago? It was a powerhouse that changed the way we looked at fighting games forever. 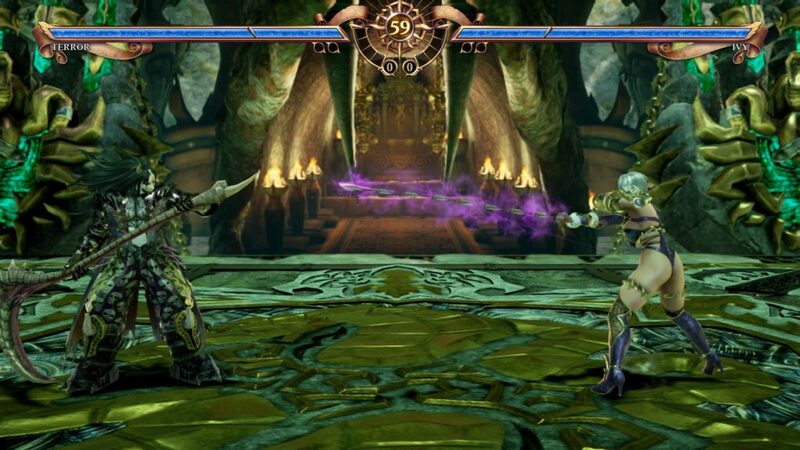 While titles such as Mortal Kombat pioneered with their bloody combat and Killer Instinct letting us fight with all kinds of combos in gruesome stages, SoulCalibur was the one focusing mainly on weapons. It was a game that everyone could enjoy with its simple controls and amazing graphics, securing the foothold for the franchise. 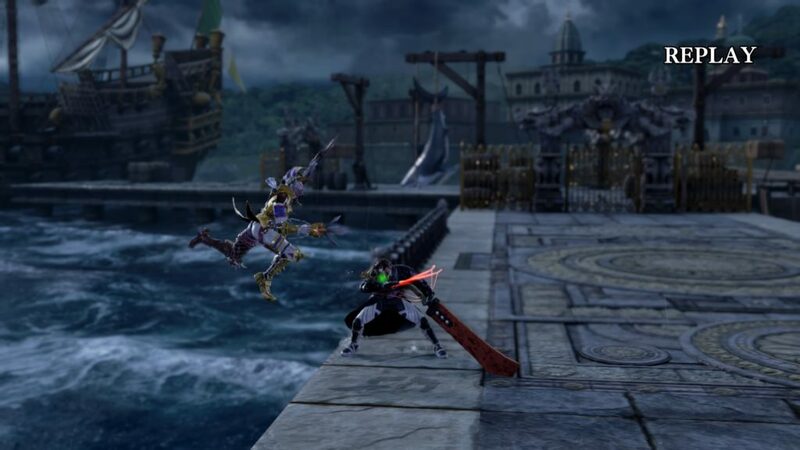 After years of waiting, we have finally arrived at the sixth installment of SoulCalibur and seventh in the Soul series, and we can’t wait to tell you more about this newest iteration. Those who like a strong backstory will be pleased with SoulCalibur VI as there is not one but two complete storylines for the player to complete. The main adventure is the Soul Chronicle where the tale of the cursed sword unfolds through the eyes of each individual character that encounters it. 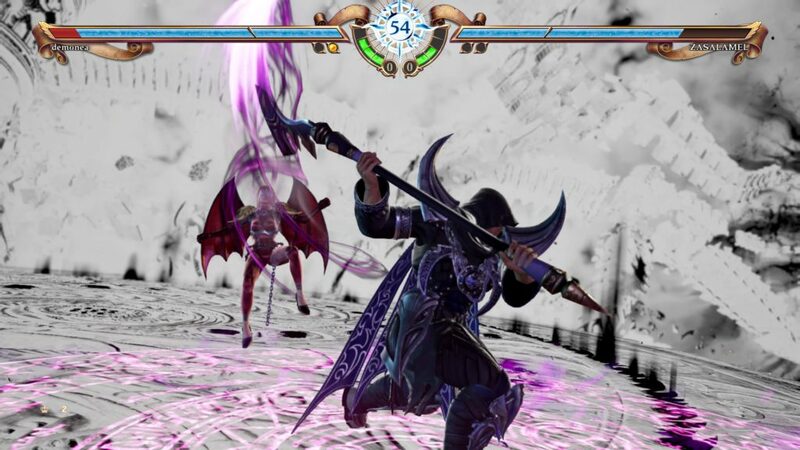 In Libra of Soul you can experience the legend of the cursed sword with your very own created character. For those who want a quick recap of the events that took place, it goes as follows. There once was a notorious pirate named Cervantes who found the cursed sword ‘Soul Edge’ that split into two parts to meet the fighting style of its founder. Setting everything in motion for the return of evil, Cervantes, under control of the Soul Edge, started his reign of terror by killing everything in his path. Fortunately, his days were numbered because the fierce warrior Sophitia stood in his path. Under the protection of the God of smithing, Hephaestus, Sophitia challenged the pirate and destroyed one of the swords. Being mortally wounded by the shards that came from the sword, her end was near. Luckily, she got rescued by Taki who took down Cervantes for good. They cannot rest yet since the Soul Edge is still out there and being found by Siegfried he became a catalyst for catastrophe. As the SoulCalibur franchise is one that has always invested greatly in its plot, you can expect the story to flow very smoothly. Carefully crafted cutscenes will take your attention and provide you with a well explained tale, so it is best not to take toilet breaks because you might miss a thing or two. Namco Bandai makes sure that each SoulCalibur game looks breathtaking and, as expected, this is also valid for this one. It doesn’t matter from which direction you look at it, the game looks good from characters to stages. Arenas themselves have two main parts; fore- and background. The first is where the action takes place, most of these being completely flat apart from a rail or edge that marks the ring, so there isn’t that much spectacular going on. When you ground an enemy, there will be a load of rubble marking the impact but this goes away after a few seconds. Like in most fighting games, there has been greatly invested in making beautiful backgrounds with nicely animated parts and work put into many tiny details. The main cast is as lovely as they always are with their noticeable differences in height and build. For example; if you place Taki (the sleek ninja) right next to Astharoth (a giant axe-wielding monstrosity), you see a clear difference between these two. Also returning in this SoulCalibur is the usual character creation, of which we will talk more about it in the gameplay section. From a graphical point of view, it is also important to note that the clothing for your creations is mostly unisex and a small collection being gender based. Furthermore, those players who enjoy the armor breaking fanservice can equip their female creations with shredded and broken pieces of clothing. While playing any of the modes, you will appreciate the huge effort put into the fine tweaking of all the sounds in the game. Starting with the music, this has been carefully crafted to create a symphony by an impressive orchestra. Next up is the voice acting; throughout the story and battles, everything is carefully narrated to give the game its livelihood. What’s even better, those who want full control of their character can decide how your persona will sound like by adjusting multiple settings. Last but not least are the sound effects, which is another forte of this title. In combat, all the effects from hitting each other, taunts, painful reactions to hits and specials just make that fighting someone feels like this cinematic feat. 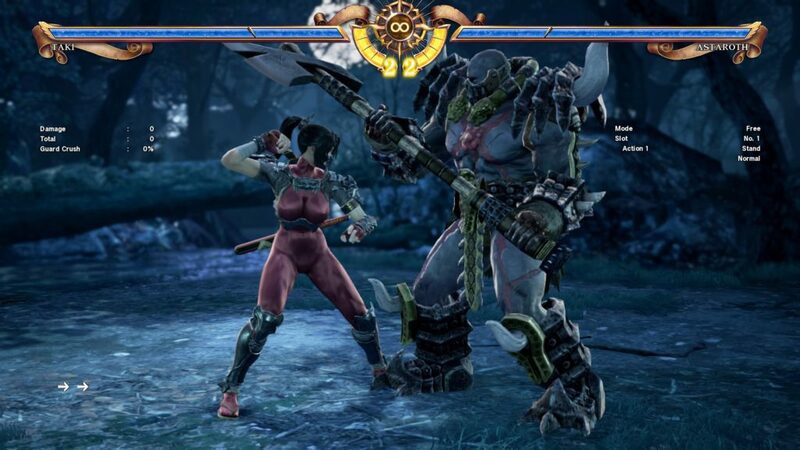 SoulCalibur VI is a fighting game that follows the quest for the Soul Edge, an evil sword that must be destroyed In order to bring peace back to the world. It has been a long going franchise from 1995 with the first Soul Edge game and later turning into the SoulCalibur series. These are known for their great usage of weapons, with each character having their preferred armament and fighting style. Controlling the combat is quite simple with only three main attack buttons and a block, which allows everyone to very easily pick up the game and start playing. Easy combos are not that hard to pull off and if you spend some time learning the more advanced techniques, you become ruler of the battlefield. An ever-returning mechanic in SoulCalibur is the eight-way movement. This means that players are not limited to only the Y axis but can move freely within eight directions. Let’s talk a bit more about the modes that you can choose from in the main game. If a strong story is your cup of tea, you can play through the main story in Soul Chronicle, following in the footsteps of all the heroes who fought against the Soul Edge and its owners. If you care more about making history on your own, you can go and explore the world in Libra of Soul. Here you create a character and develop this in their own quest for good or bad. Infected by the seed of evil, you must save your soul and explore the vast lands that lie ahead. If you rather just pick up the controller and play a few matches, you can enjoy arcade or versus mode, on- and offline. Creation also returns with, as usual, a very impressive collection of costumes to dress your character in. You can develop it from scratch with hundreds of options when it comes to race, height, voice, hairstyle, clothing and much more. Freely select what fighting style to adopt and which weapon to wield to create your own brave hero or villain. It has been five years since the last SoulCalibur game and the fans really missed the franchise. We welcome the sixth installment in the SoulCalibur series, if not counting the original Soul Edge, being released on consoles for owners all over the world with open arms. As it has been silent across the world about other popular series, it isn’t sure that it is either nostalgia hitting us hard or it’s just a perfect game like always. No bugs or glitches were encountered during testing and, with everything running as smoothly as ever, it is good to have the precious Soul series back. Although there isn’t that much new since the last installments, it makes up for this by having such story value when single playing and quick and easy amusement when playing against friends or strangers.